What an amazing turn out this past Sunday for the interfaith shelters gift basket project! 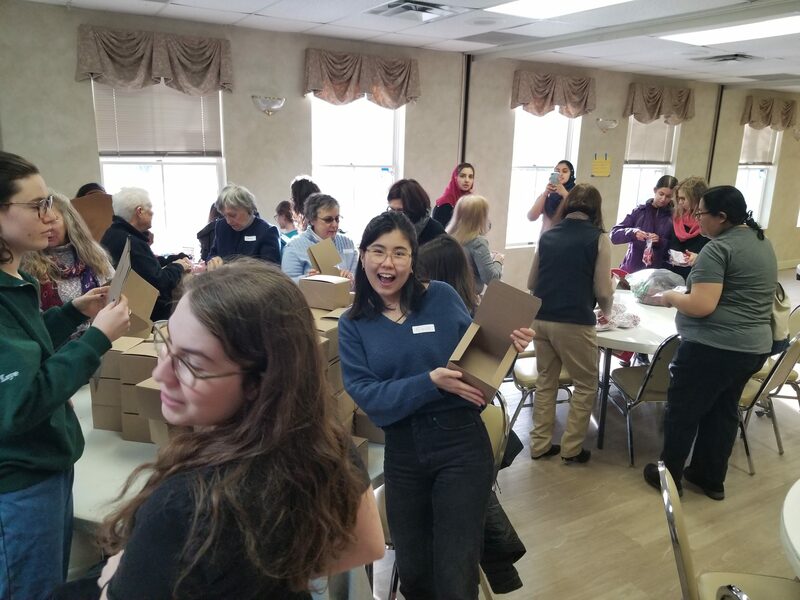 Temple Sinai joined with Muslim and Christian women from the Capital District mosques and Saratoga churches to create valentine gift baskets for women’s domestic violence shelters in Schenectady, Saratoga and Albany. The baskets were filled with generously donated items. Photos by Rabbi Linda Motzkin.